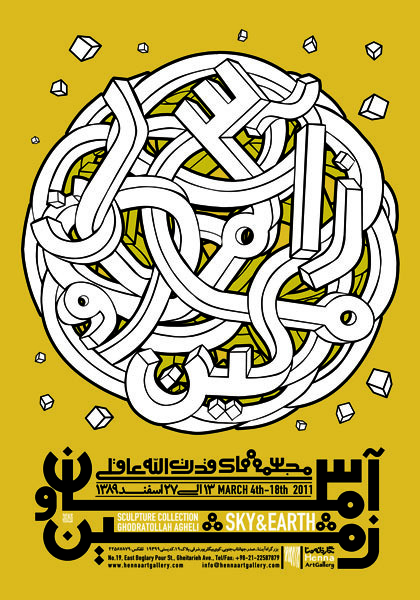 Graphic and type designer, lives and works in Teheran. Abdolali has been researching and acquiring experiments in Persian typography both in theory and practice with a focus in three-dimensional type. He experiments with stereo typographic posters (via anaglyph). Currently, he focuses specifically on Islamic calligraphy and its geometric basis.